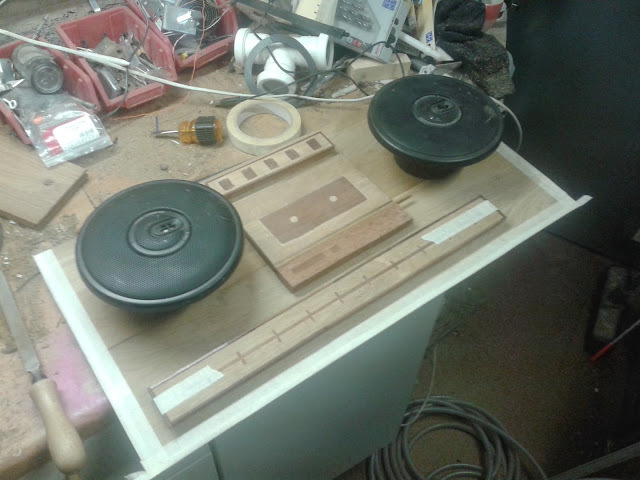 I have some car audio equipment lying around and always wanted to build something retro (from my youth), beautiful, functional and fun. 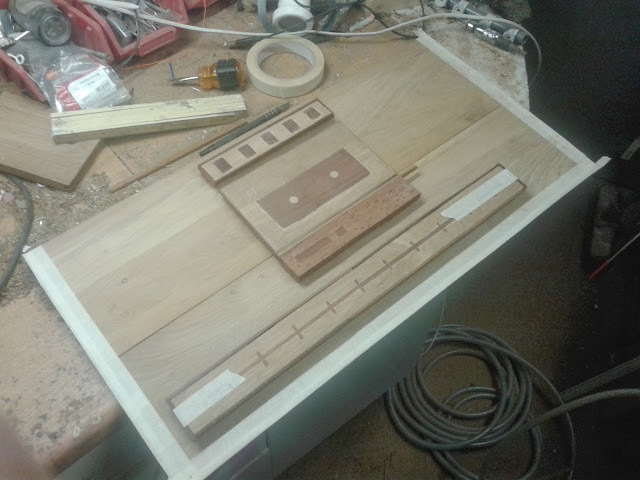 This is the first part of an ongoing project. 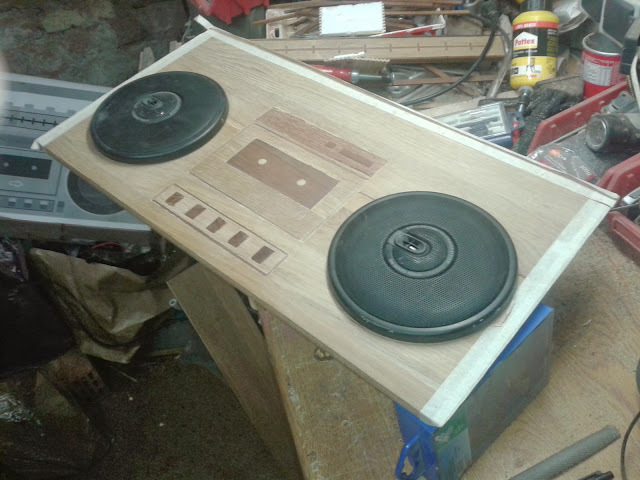 I don't know where this boombox/ghettoblaster idea came from but I had some spare wood and time. For starters, I looked for pictures on Google images and printed the one I preferred to scale so I would have a model. I used the dimensions (17.5 cm) of my speakers as reference to scale the picture and printed it on a couple of pages... which made the tape deck a little larger than natural but that's all right: we will call this 'art'. I also know I'll have to make adaptations make room to house the amplifier and power supply but it surely looks like a good start. 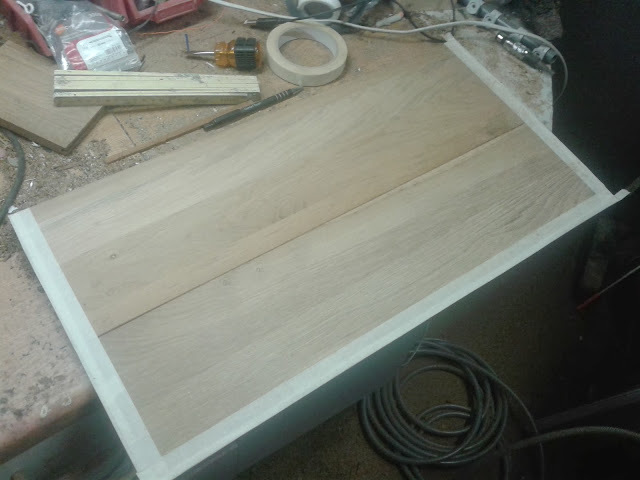 I started by gluing two planks of oak together and cut three of the edges at 45 degrees to make it look nice once assembled. I then used masking tape to protect these delicate edges: working in a workshop can sometimes be rough. 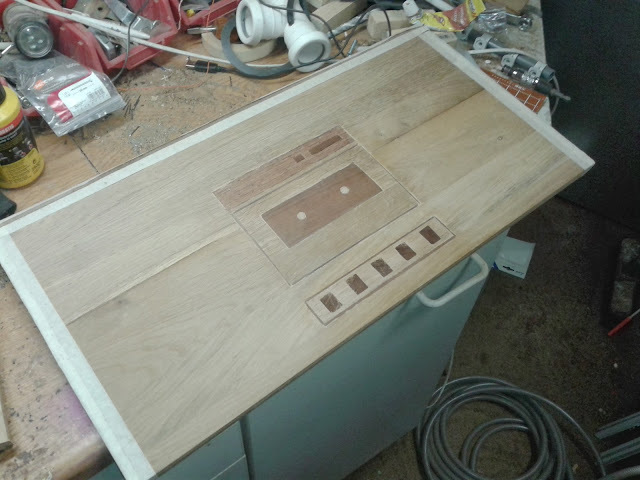 I then prepared the (fake) tape deck and tuner, cutting wood, making groves and inserting small pieces of wood to get the look I wanted. Double checked all dimensions with the car speakers to make sure it would all fit. 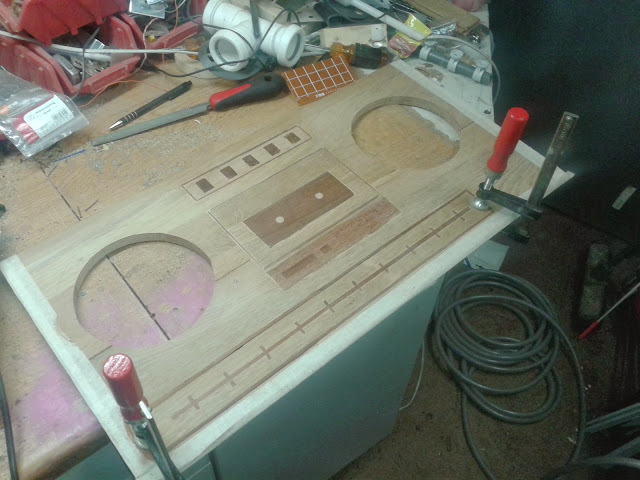 I then precisely positioned the speakers, drew a circle and cut it out with my jigsaw. As with the tape, I then added the tuner. 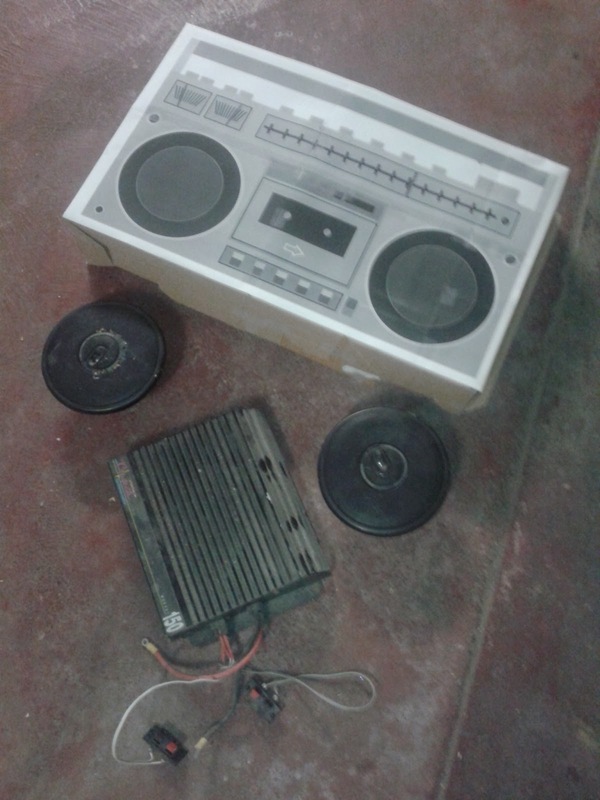 You can find the links to my posts where I continue building this boombox below.